Through the front end turns a handle and drive chain. 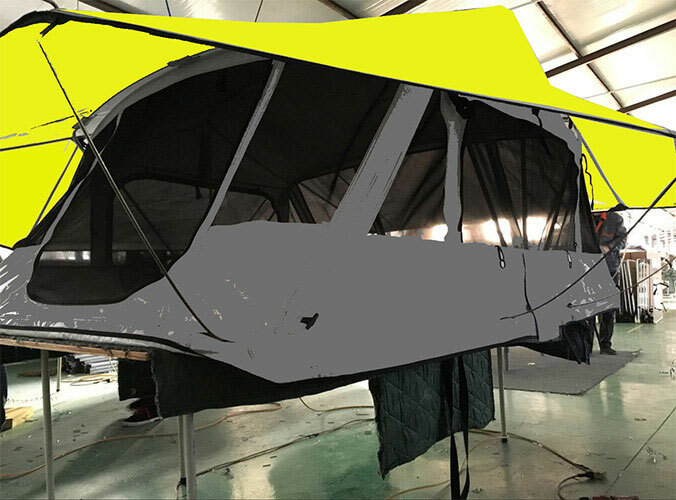 We can make the roof top tent opening cross strut rising and landing at the ends and put up the roof top tents. We put it in a rotation test on site, more relaxed, effortlessly. Even delicate MM can complete it. 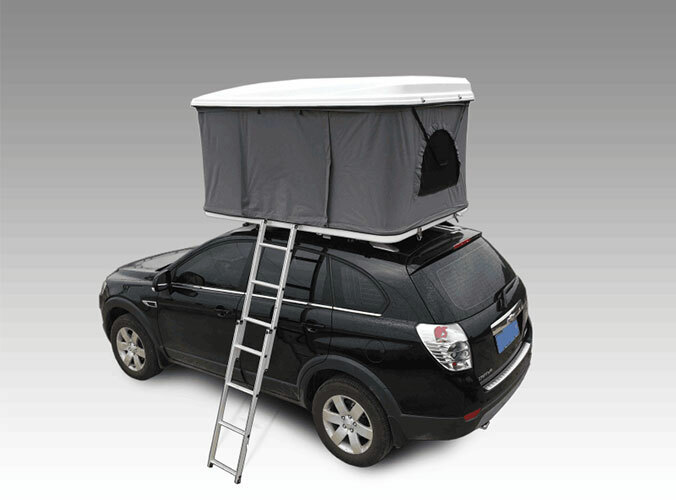 If installed in a cross-country car roof tents, to complete the work to be a certain height. Seem to open and fold tent or by man to do better. After open the car roof tent, the car roof tent with soft cushions. There are several pocket tents. It can hang clothes. The roof tent with the lamp. The roof tent is ideal for 2 people space. Go out to play with friends all know how valuable space is. Chairs and tables these things due to size problem on the trunk is always not convenient. But put it on the roof is a very good IDEA.